Video games aren't usually the first port of call when it comes to learning a new life skill. After all, what can a mish-mash of crazy polygons possibly teach me about tolerance, or charity, or why I should maybe stop replacing other people's packed lunches with violent swarms of insects? "Hahaa! You've just been 'bee'd' Larry! In your alarmingly swollen face!" The thing is, video games are actually an incredibly helpful source of ethical advice. And no, I'm not talking about Grand Theft Auto here (but thanks for reading, 'alarmed parent's group campaigner'). No, what I'm actually harping on about are those kinds of titles that teach us all a little something about compassion, or ingenuity or kindness. Some take an overt approach, nailing their chosen morals to the mast, while others offer us a plethora of messages, to be mulled over and sorted out ourselves. The following list is comprised of 13 such games, and the moral lessons they share. Enjoy. Gordon Freeman, now there's a man who knows how to get things done. Less yapping, more slapping: that's his motto. Or, at least it would be, provided you could actually pry it out of him. Like Helen Keller on HRT, with a crowbar, this spectacled scientist excels at non-verbal communication, i.e. the ability to get one's point across without constantly belching up words. Whether he's hacking at Headcrabs or dicing up Combine, Gordie's muffled moves only serve to reinforce that wise old adage: actions do indeed speak louder than words. He's overthrown aliens, smashed the speed limit, even tamed a few bloodthirsty bugs, and all without uttering a single syllable. Now, if only those ferocious 14 year olds in Call of Duty lobbies would get the message. Unless of course they're planning to take a page out of Total War's book and 'choose their battles wisely'. Take the high ground, whittle away at your enemy's support, sabotage supply lines (i.e. block their access to Wikipedia) and most importantly of all, always play to their strengths. Then, and only then can they proceed to unleash an informed, erudite argument against an utterly puzzled foe. "Cry havoc and let loose the Powerpoint presentation of war!" You can't exactly blame people for equating heroism with big, bold actions. Hell, the only official confirmations of heroism (i.e. military medals) tend to do just that. "You took out a man-crushing tank with a single sheet of toilet paper and a half-eaten packet of tic tacs? You sir, are a hero. Then again, it was a friendly unit you were assaulting, so draw?" Sometimes it's just better to be certain than it is to be sudden. Waiting for the exact right moment to attack can take just as much testicular fortitude as any headlong charge. Plus, it tends to get way more done. The original Deus Ex extols this particular message in spades, allowing players to circumvent trickier encounters with displays of quick-thinking wit. Is the big baddie too much to handle right now? Choose to utilise discretion and you may well dig up his deactivation code down the line. Might this murderous operative prove prickly later on, why not eliminate her here and now and save yourself the hassle? For a veteran gamer, sitting down to play a 'family fun time' party title can prove to be an utterly excruciating experience. For one thing, it's a total lose-lose scenario. Wiping the floor with your baby brother Billy or blasting Grandpa Joe back to the 40s isn't all that much of an achievement. You win, you're the big gloating douche, lose and you're a resident family laughing stock. Pick your poison. The Mario Party franchise has always excelled at delivering this sort of all-ages torture. You can be up by a billion trillion points with just the one round to go when everything suddenly shifts. 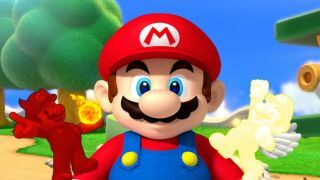 Sorry mate, someone caught the Mushroom Kingdom equivalent of the golden snitch, and now you're locked up in dead last. Better luck next time, ey? Aside from filling us with furious 'blue shell' anger, this type of occurrence also teaches that anything can happen--or rather 'go wrong'--at any time. It may not be fair, but the more you learn to live with it, the more fun you'll have. Have you ever lost something you were absolutely certain had been 'right there' just a moment ago? Something that a certain someone must therefore have stolen? Congratulations, you're a fully (mal)functioning member of the human race. In other words, we've all done it, and yes, we're all massive morons who forget to check our own pockets before playing the blame game. Of course, as anyone who's spent some time within Rockstar's L.A Noire can attest, it's vitally important to do one's homework before bludgeoning an innocent suspect to death. Whether you're perusing for clues or frantically fumbling around for your keys, failing to scour every inch of a crime scene/messy bedroom usually means missing out on some vital evidence. Without these key facts, you're reduced to making snap decisions based entirely on how shifty your suspect looks. So, the next time you lose something important, only to run into a smelly friend giving you the evil eye, ask yourself, 'what would Cole Phelps do? Yknow, if he were being played by a somewhat competent player. Feel free to file this one away in the 'everyday wisdom' section--I'm pretty sure Karl Marx didn't cover it--but getting it on with one of your coworkers isn't typically considered all that bright an idea. Sure, it's all water cooler flirting and stock cupboard twerking at first, but it isn't long before both parties start accusing each other of war crimes and launching fully stocked photocopiers across the office. Love, eh? There's nothing quite like it. Well, except for Batman: Arkham Origins; beautiful, enticing and occasionally broken beyond belief. Ah, If only all star-crossed lovers played Mass Effect, the outer space dating sim from EA that teaches us all about the perils of the workplace romance. First there is Ashley and Kaiden, a pair of part-time underwear models masquerading as interstellar space soldiers. Sadly, one of these folks has to bite the bullet, and any previous love connections are more than likely to sway the vote. Of course, I'm not saying that your illicit office romance will get somebody killed, but it'll definitely unleash a horde of sentient killing machines from the HR department. If humanity has a catchphrase, it's this: 'faster pussycat, kill, kill'. Probably. You see our squishy species loves nothing more than to push every aspect of its existence to the absolute limit, whether that's living for longer, eating extra, fighting harder or driving evermore swiftly. It goes without saying that some folks simply have an incurable need for speed, the most committed of whom usually end up taking that adoration along with them as they burst through the front side of a windshield (don't worry seatbelt non-believer, the cushy concrete will catch you). Ploughing into corners at breakneck speeds is a time-honoured tradition amongst video gamers. At first we do it because we simply don't know any better. Acceleration = win and there's not a damn thing you or anyone else can do to convince a novice driver otherwise. Later on, we just do it for fun. Of course, the only way to properly compete in games like Forza and Driveclub is to avoid crashing altogether, which means learning when and where to slow down, take it easy and calmly glide around obstacles. At the risk of sounding like a smarmy self-help book, those are some pretty transferable skills. What is it with explorers and ancient curses? They just can't seem to get enough of them. All talk of historical significance aside, some things were simply meant to be lost, while others--like poison gas and One Direction--we really wish we hadn't invented in the first place. The same likely applies to many of the strange quasi-mystical artefacts that so attract Lara Croft and Nathan Drake. Remember, if an extinct race of people were sophisticated enough to build a still-working clock puzzle then the odds are they arent pulling your leg about that 'dragon-powered face-eater'. Indeed, almost every adventure that Lara winds up on is made infinitely more perilous by her own innate curiosity or, on occasion, that of her soon-to-be-turncoat travelling companion. Leaving well enough alone may seem boring by contrast but it also ensures that you won't find yourself being crushed, cannibalised or cut open from top to tail. Winner. Money management, the everyday game of Monopoly where absolutely no one wins, ever. Where life in the 'poo brown' part of town is the only property you can actually afford, and where every so often you'll suddenly decide to stop saving up altogether and lavish cash on something wildly inappropriate, like a train station or a jet ski. Learning financial restraint is an enormously important part of growing up... unfortunately most young adults tend to go from earning a paltry bit of pocket money to raking in actual cash in a comparatively short span of time. There's no learning curve, you're just 'poor' one minute and 'buy my own games rich' the next. If only there were a fun and simple way to inspire fiscal discipline. Perhaps involving some sort of amusement park, brimming with bright colours, happy faces and the occasional mass murder via ghost train. What's that? Roller Coaster Tycoon ticks every box? Why isn't this game in our nation's schools?! Like any good 'building sim', RCT ensures that players are only as capable as their wallet is fat, requiring some careful financial play and the occasional trip to the bank. Just like real life!